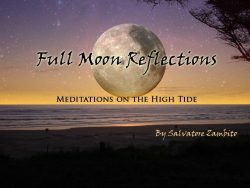 Salvatore is available for Yoga Sutras speaking engagements and has 8 lectures currently available for your yoga studio or teaching center. Please contact us to bring any of these lectures to your location. If enlightenment is such a wonderful thing, why do societies murder the Masters who point the Way? Yoga and Christianity – Conflict or Complement? 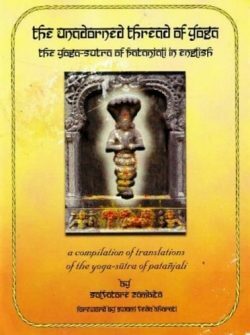 Patañjali and His Yoga Sūtras – Relevant to 21st Century Yogis? With tens of millions of Westerners engaged in Hatha-Yoga, do Patañjali’s Yoga Sūtras and Dhyāna-Yoga have anything to offer us in the 21st Century? Yes, they complete our practice – but how? Āsana in the Yoga-Sūtra: What was Patañjali’s Position? Three sūtras in the Yoga-Sūtra reference āsana. What were Patañjali and Svatmarama (author of the Hatha-Yoga Pradipaka) talking about? Does āsana have the same definition in Raja-Yoga as it does in Hatha-Yoga? Salvatore uses a road map analogy to make the Yoga-Sutra immediately useful. Find out where you are, where you are going and – how to get there! The core obstruction to samādhi – from which all other obstructions arise – is avidya/ignorance. The central ignorance is the fear of death. The Abhiniveśāḥ (lecture) explores the question from the perspectives of the Bhagavad-Gita, the YogaSūtra, and the New Testament. 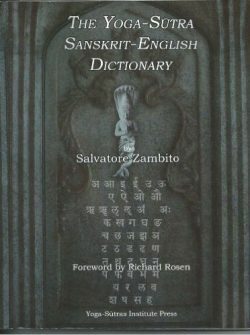 In Patanjali’s Paradigm, Salvatore offers us the cultural context of Patañjali’s Yoga – Raja Yoga – the Kingly Science of the Soul.